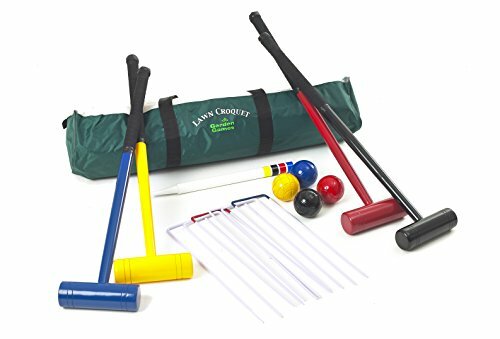 A fun introductory Croquet set for children. Get the kids outside and playing this traditional favourite garden game! 4 brightly colored wooden mallets. 77cm, 30.5 inches long.